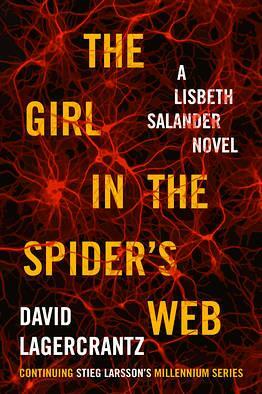 The Girl in the Spider’s Web hits U.S. bookstore shelves on September 1, 2015 and the U.K. a few days earlier on August 27, 2015. 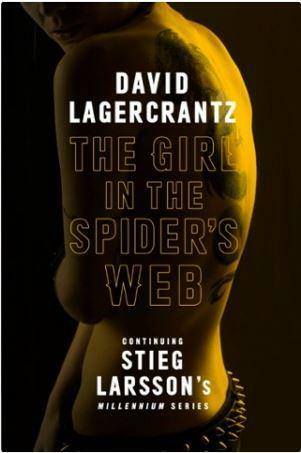 This book is the fourth book in the late Stieg Larsson’s “Millennium Trilogy“. The U.S. publisher Knopf released the two covers yesterday. One for the U.S. edition and the other for the U.K. edition. “The Girl With The Dragon Tattoo” series was a global publishing phenomenon by all accounts. Not quite Harry Potter, but oh so close. The books raced up the charts in every country they were published in. Since Larsson died in 2005, this book has been written, in secret, by a Swedish crime-news reporter. Hopefully it will live up to what Larsson had started. Some say Larsson had planned on the series to run a full seven books. The NPR Blog has a few more details on the new books and series. Week One of Nonfiction November was fun and is responsible for adding nine books to my wish list this holiday season. This week’s topic is being hosted by Leslie and is listed as “Be The Expert/Ask the Expert/Become the Expert” where we are supposed to highlight some books we’ve read (or want to read) around a topic. So for Week Two I would like to offer up the following books which will help you to Become the Expert in Book Covers. 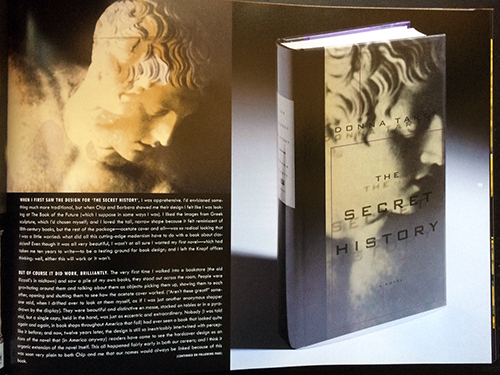 Please notice I did not say Book Cover Design or the History of Book Covers or Book Cover Production Engineer, but simply book covers. Some of the stories behind a few famous titles and covers are amazing and humorous. Also, how do you know if a book cover nailed it? What works? What doesn’t? Why? Should the designer have tried something a little riskier? Here are three books that I recommend reading if you are at all interested in book covers/book jackets and the thought process/discussions behind the winners and losers. 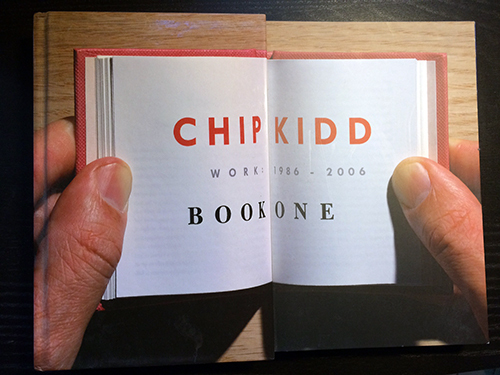 First up is Chip Kidd’s Book One. Kidd is as close to a rock star as you get in the book design world (he was asked to play himself in a soap opera for crying out loud) and this book doesn’t disappoint. It’s very large, colorful and gorgeous. Plus, it’s filled with all kinds of tid-bits and insights into the publishing world as Kidd shares hate mail from readers who dislike his covers, letters from authors as they flip/flop on whether a concept will work and rough drafts that lay at the bottom of the trash can. 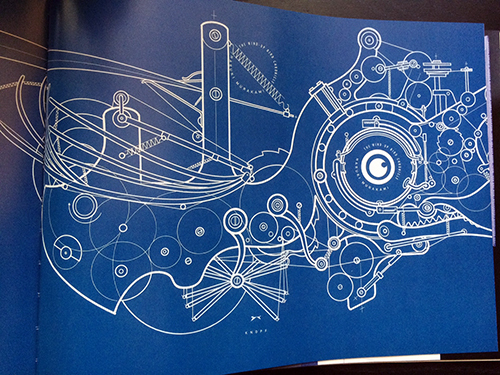 Many iconic covers, from the past 20 years, appear in Book One as Kidd shares how they came to be. 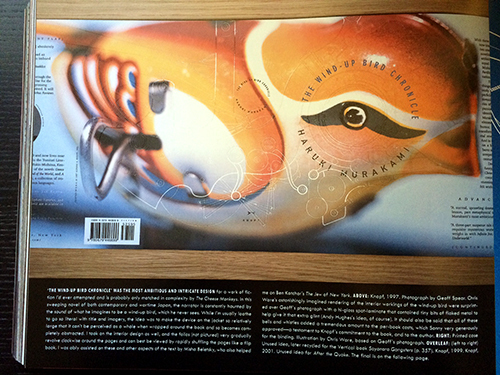 Including the Jurassic Park dinosaur logo, Donna Tartt’s covers and dust jackets for Haruki Murakami. 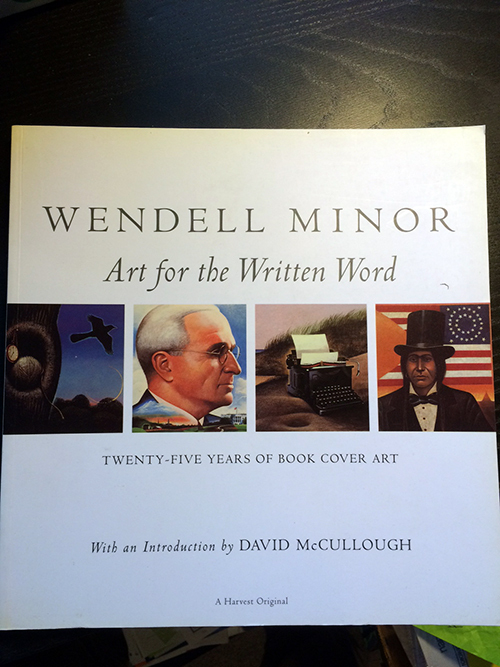 Another book worth reading is Wendell Minor’s Wendell Minor: Art for the Written Word. Minor has produced many iconic covers himself, but his are all painted and watercolor (as opposed to Kidd’s graphic designs). 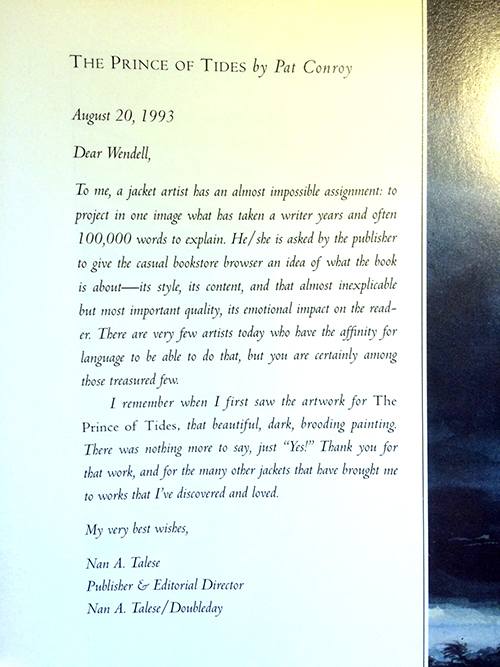 But this book does a great job sharing notes, letters and thoughts behind the composition of some of Minor’s more famous covers for authors like David McCullough and Pat Conroy. I have to admit to feeling a little teacher-ish about this last one, but to appreciate all of today’s book covers and to see how all the rules are being broken (I mean we are trying to be experts this week, right?) 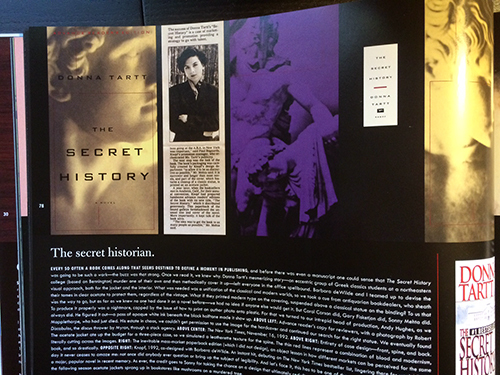 – it helps to gain a little historical perspective. 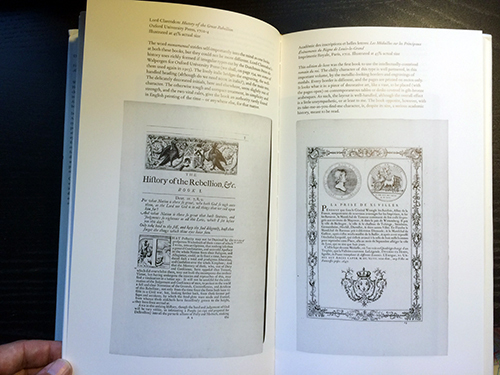 That’s why I’d recommend Alan Bartram’s Five Hundred Years of Book Design. Yes, it sounds dry and boring. But if you like words… if you like books… if you’ve ever considered buying a throw pillow because it has words typed all over it, then you will appreciate this book. 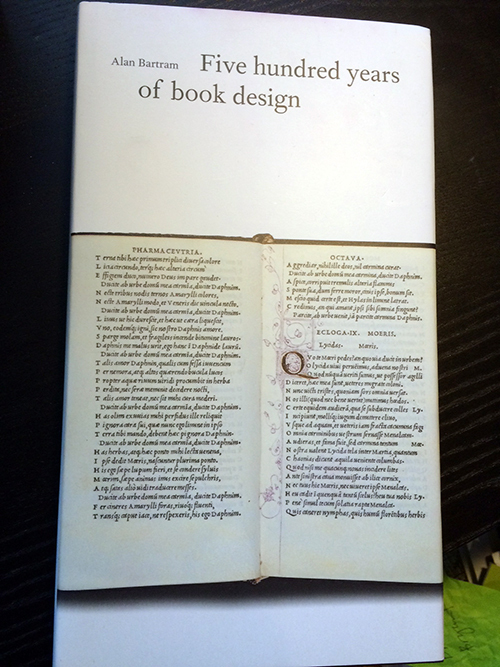 The book is an odd tall narrow shape and features page after page after page of wonderful photos of (mostly) type-only book pages from Roman-times to modern-times. Once you get a feel how type and text is best stacked and what works and what doesn’t you’ll really start to notice jackets at the bookstore when the author’s name is too big or the title is just too off-center. Anyway, those are three books I’d recommend you check out if you’d like to become an Expert in Book Covers. I promise they are each filled with big colorful photos of books, words and dust jackets. Everything you need to get excited about book cover design and chat about them over a beer. So catch up on all of the other bloggers posting this week for Nonfiction November over on Regular Rumination and by following the #nonficnov hashtag on Twitter. 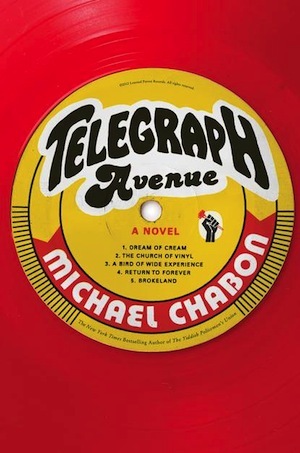 The fictional world of Telegraph Avenue is grounded in Chabon’s deeply researched, lovingly painted pop culture of Kung Fu, Blaxploitation films of the ’70s, Jazz, and Soul. This is one book that I can not wait to read this year.